This section of the website shows events that occur across the whole school, capturing the moments as soon after they happen as possible. The whole school really enjoys Easter Technology Day as we get to work with our friends at Amherst. Year Two children work with Year Five at Amherst School, and Year Six work with our Reception and Year One here at Riverhead. The children research ideas for their bonnets at home and bring their pictures, designs and ideas to school. We use recycable materials in keeping with our eco status and enhance them with colourful seasonal decorations. It is a wonderful event to end to the term with and the children are really proud to show off their hats during our Easter Parade. Well done to everyone for the amazing creations! WHAT A WONDERFUL ART WEEK! Our artistic talents shone through as we celebrated the wonderful world of art! The children were inspired by our eco theme of “recycle, reuse and reduce”, producing some fantastic art at home for our competition and at school during our eco day. Congratulations to Hannah in Ladybird, Stellan in Hedgehog and George in Maple Class who all won a lovely art book. Children were split into different groups and worked together to produce clay masks, weaving on cd’s and ephemeral art. 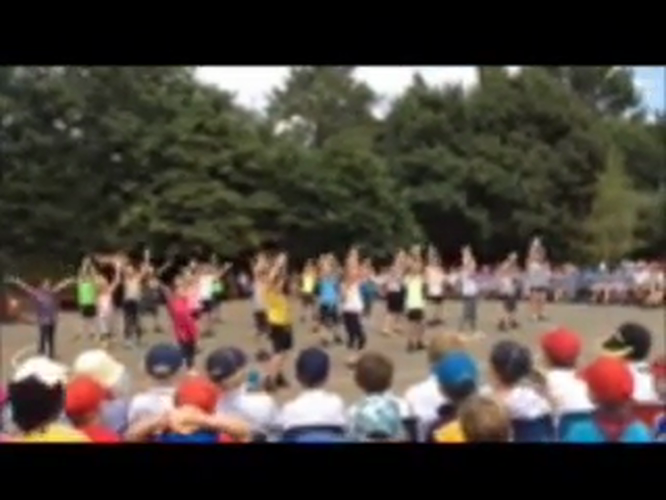 Everyone took part in the “Dance Days” workshop and created a dance linked to the year groups key text. The children worked in their own classes, drawing still life such as plants and practising their line drawing techniques. There were animals of all shapes, sizes and colours for our World Book Day including Peter Rabbit, The Tiger Who Came to Tea, a Big Bad Wolf and a few little bad wolves, and lots of black cats! Mr Fry, Jack’s grandad who is a children’s author, led a talk to each year group about his work. 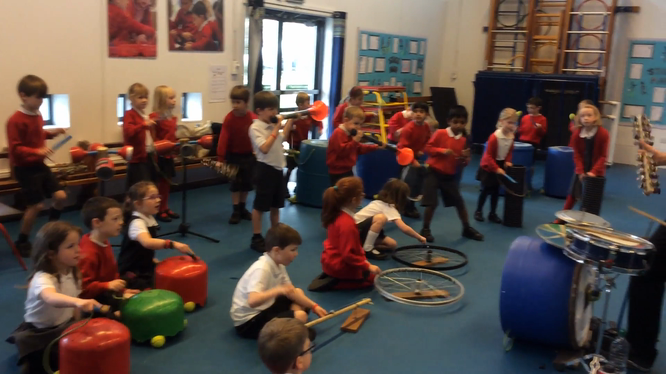 “The Junk Orchestra” visited us and the children had the opportunity to play a variety of instruments made from recycled materials such as bottle tops, old fire extinguishers and bicycle wheels. We really enjoyed the week with the children experiencing working with different media, learning new skills and techniques. Thank you to the Year One team for organising the events and for all the parent helpers who volunteered their time to prepare materials and help during the week. Happy Chinese New Year everyone and thank you to Mrs Gibbins and her Mandarin class for their fantastic assembly. 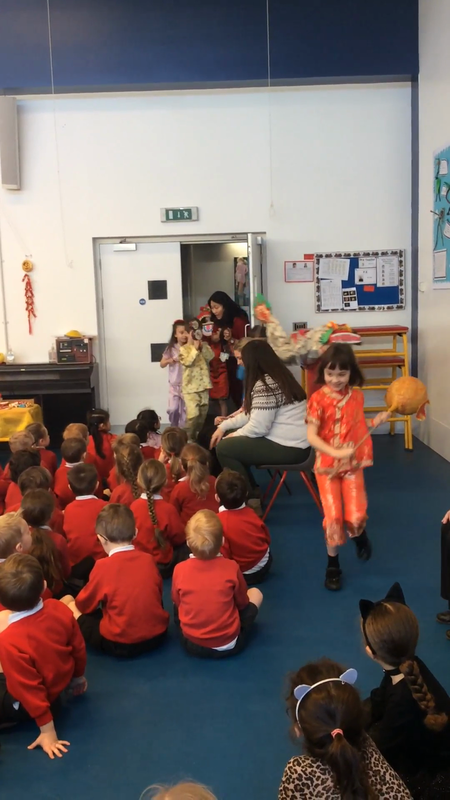 The children dressed in traditional costume and performed the dragon dance to celebrate the Year of the Pig! In class, the children made beautiful Chinese lanterns, decorated with Chinese writing. Reception read “The Great Race – The Story of the Chinese Zodiac” by Dawn Casey and Anne Wilson and made hand held puppets and a giant dragon’s head! Our Chinese New Year Assembly. Internet safety is a subject which is taught each term and during our e-Safety week, the children continued to focus on how to stay safe on line. 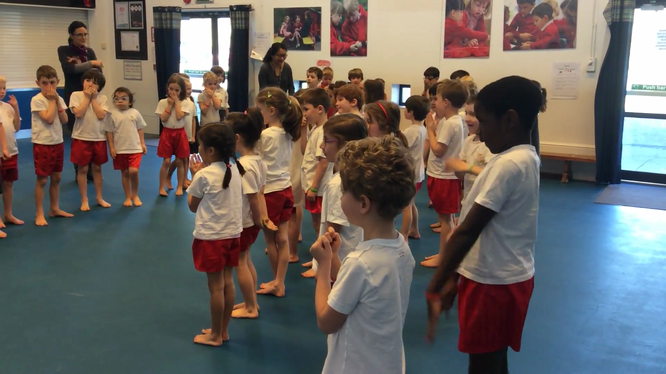 The story of “Chicken Clicking” by Jeanne Willis and Tony Ross was used to reinforce the concept of responsible internet use and KS1 participated in a Perform workshop. During the workshop the children took part in drama techniques to take them through a journey of learning and how to take action to block, delete and keep their personal details safe. build a picture of the current trends in the local bird population. In Term Three, the whole school is shared a favourite storybook “Stickman” by Julia Donaldson. The children really enjoyed collecting sticks and turning them into their own stick characters. They were excited to share the story with each other which has been reflected in their writing and learning. Christmas at Riverhead is such a special occasion. Staff, volunteers and our wonderful PTA are busy preparing Christmas activities for the children. There is a real sense of community and working together to ensure that everyone enjoys this wonderful time. Our plays were amazing, Reception children performed the “First Nativity” to their families and friends with loud voices, tuneful singing, wonderful acting and fantastic Makaton signing! Year One had their own concert this year, "Carols by Candlelight". They made paper lanterns lit with tea lights and sang traditional and new carols to parents, grandparents and friends. Year Two told the story of Jesus’ birth to Aliens! Our funny Alien’s space ship broke down which meant they landed on earth on Christmas Eve. The school children then helped them understand the true meaning of Christmas! Thank you also to the generosity of everyone who came to see the productions. We raised an amazing £1098. for our charities the Umoyo Project, The British Heart Foundation and Taylor Made Dreams. The Year Two children also visited Rivermere and sang their Christmas songs to the residents, and we enjoyed taking part in the St. Mary's Christmas Tree Festival again. Our Reception children made the decorations and some of the school council children took them to church to decorate our tree. The Pantomine visited us and the children all enjoyed their performance of "Jack and the Beanstalk". We had a delicious Christmas lunch and everyone had fun at their class Christmas parties. We even had a visit from a very Special Person! LOVELY LADYBIRD AND BUZZING BEE! We have started to enhance our reception area so that it better represents our creative and outstanding school. Our School Values are now firmly embedded in the curriculum, school life and on the walls, with some beautiful photographs depicting the values. Mrs Cherry, staff, children and parent volunteers have worked together to produce some magnificent mini beasts. Our willow and paper ladybird and bee are already being displayed. The finishing touches are being put on our dragonfly and butterfly and these will also be added to the area soon. This year’s road safety message is all about being “Bike Smart”. The theme aims to raise awareness about the importance of being safe whilst cycling and scooting. Each class discussed how to keep safe on the road especially in the winter. They designed posters, talked about the Green Cross Code and Year Two took part in a scooter safety workshop. The focus was on the importance of safety gear, how to ride to school safely and learning key scooting skills. To find out more about the workshop please click on the following Team Rubicon link, www.teamrubicon.co.uk. We had a fantastic start to Term Two with the whole school enjoying our STEM Week (Science, Technology, Engineering and Maths). The week was packed with exciting opportunities to learn more about the subjects and how they affect our everyday living and learning. We have had some inventive maths and science games which the children shared and played with their peers. Our STEM Fair was amazing! Each child visited the hall were there were a variety of activities. We had “feely gloves", with the children having to identify what substance was in the glove; smelling pots and target throw. These games encouraged their curiosity and independent thinking. The Problem Solving Company visited us and the KS1 children participated in solving mathematical puzzles and challenges. The puzzles seemed easy at first but the children soon found that the skill and strategies they have already learnt in the curriculum became essential to helping them solve the challenges. The highlight of the week was the Astrodome! Year One and Two children visited the amazing portable space theatre to explore the planets and space. Thank you to Mrs Nightingale who lead this fun week and to all the volunteers who helped make this event so successful. Special thanks goes to Mr. Smith and Mrs Adair who talked to the children about their jobs in the engineering and maths industries. Congratulations to our winners of the quiz competition, Vicky in Year Two, William in Year One and Sydney in Reception who each received a £5 Amazon voucher. With the excitement of firework displays and burning bonfires in mind, each class discussed the importance of fire safety and the children learnt the “stop, drop and roll” routine. Reception children let their imaginations run wild and created some firework inspired pictures. Year One learnt about the history of Firework Night and discussed the key events of The Great Fire of London. They also designed their own safety posters. Year Two researched Guy Fawkes and his association with Bonfire Night. We are so lucky to have such an abundance of delicious food which we are able to share with our community. Once again we have been overwhelmed with the generosity of our families who donated a huge variety of food, treats and flowers to our harvest festival. Daphne Harrison, from St. Mary’s Church joined us this year to talk to the children. She told them a modern version of the “Prodigal Son” and how we should think about others. The children entertained everyone with their harvest themed songs and poems, such as “Big Red Combine Harvester” and “Seeds of Friendship”. A big thank you goes to Miss Ives and her team for organising the collection and deliveries. We have already had some lovely “thank you’s” from our local residents, and some of the potatoes and marrows grown in the kitchen garden have been used by the school kitchen for the children’s dinners! Thank you to everyone for their kind words and emails thanking the staff for their hard work throughout the year and particularly after our fantastic Summer Production. This year's production encompassed our school values with an emphasis on “belonging”. 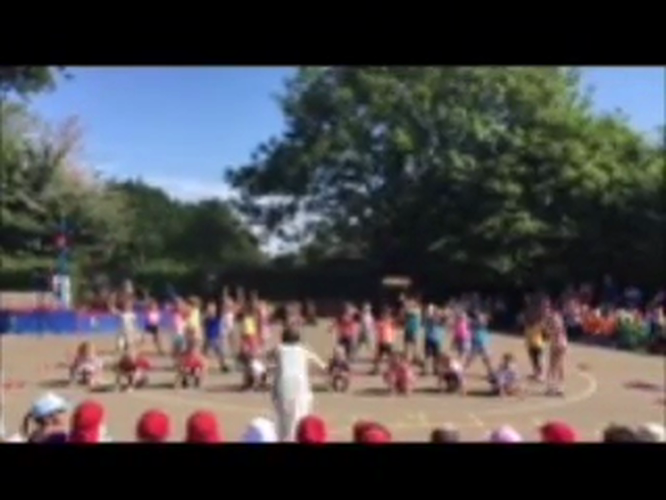 The Production was such a success because of the talented children, dedicated staff and supportive parents we have, and this really showed at the event. Everyone came to school dressed in their team colours and took part in events which complemented the skills they had learnt throughout the year. There was football and hockey skill races, long jump and many other relay team races. Congratulations to the Green Team who were the overall winners. 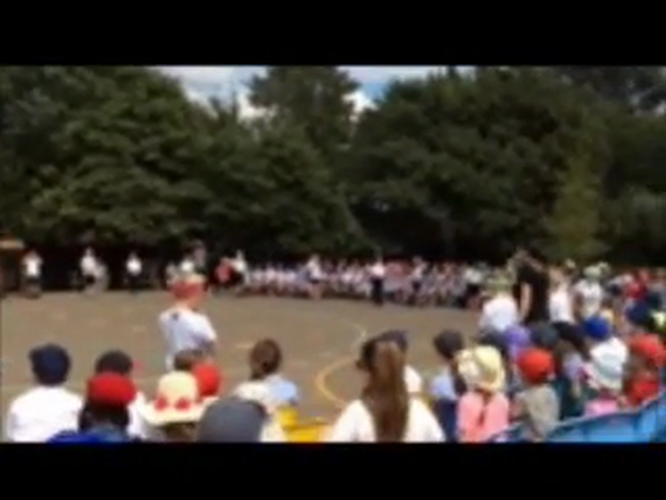 In the afternoon the Year Two children competed with each for the title of “fastest boy and girl”. Congratulations to Lucas in Woodpecker Class and Alice in Owl Class. There was a patriotic feel to the school when we all wore red, white and blue to celebrate the marriage of Prince Harry and Meghan Markle. Thank you to the parents who helped set up our street party and decorate the tables for lunch. Everyone enjoyed a traditional British meal of fish and chips followed by ice cream and strawberries. We were so excited to be invited to take part in Lizzy Yarnold's parade to celebrate her second gold medal! 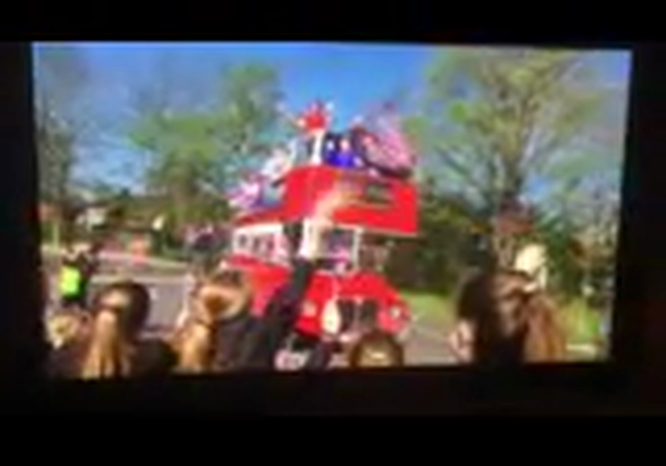 Some of our Year One and Two children had a lovely bus journey to Trinity School where they cheered, waved flags and displayed the banner we had made. Everyone was allowed to hold the medal, and Logan in Robin Class even became a celebrity when he was interviewed for the BBC and ITV! Well done Lizzy we are all very proud of you! Thank you to Mrs Bates, Mrs Kozlowski, Mrs Palmer and Mrs Nel for helping the children look after our kitchen garden and flower pots in the school grounds. Mrs Bates and Mrs Kozlowski weeded the beds to get them ready for planting, with Mrs Palmer and Mrs Nel watering them with the help of Eco Club. We are delighted to reveal that Riverhead won the silver award in the recent “Village in Bloom” competition. Judges were particularly impressed with the enthusiasm of the whole school, especially the Eco Group children. Thank you also to everyone who contributed beautiful blooms for the day it really helped enhance our beautiful school grounds. What a wonderful week we had celebrating the Queen's 90th Birthday! During the week the children took part in various workshops; created their own stamps in the style of Andy Warhol; took part in a competition to design a poster for Her Majesty, with the winners becoming King and Queen for the day. However the best part by far was Friday's street party when everyone came to school dressed in red, white and blue, and enjoyed a traditional "fish and chip" lunch, after respectfully raising the Union Jack and signing the National Anthem! Happy Birthday Ma'am. We were very excited when Lizzy Yarnold visited us to celebrate her Gold Medal success in Sochi! 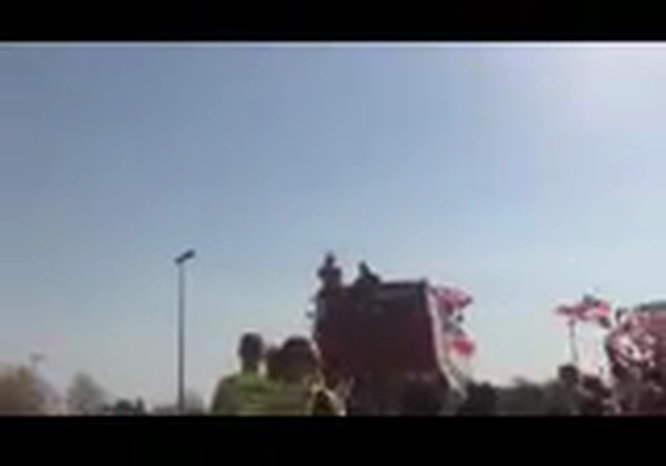 We sang her our special song, cheered, waved the flags and banners we had made. Ben and Emily were lucky enough to go on the bus with Lizzy and Charlie, Daniel, Tegan and Charlotte met her at Knole Academy. Ben, Oliver, Caoimhe, Rosie, Alice and Patrick were interviewed by the local radio stations. Everyone has had a wonderful time!